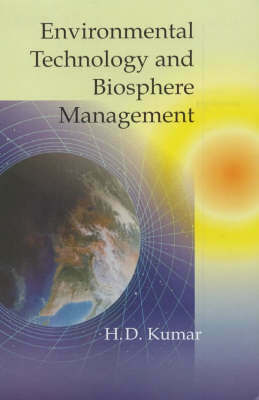 This text aims to cover all aspects of global, regional and local environment and point the way for effective management of environmental issues in the light of available technologies, both old and new. Contrary to conventional economic wisdom, the author aruges that most of the value in the planetary economy does not come from extracting things out of nature - rather it comes from the normal functioning of healthy rivers, forests and fields. The book shows how this may be achieved by the application and use of appropriate technologies. It stresses the need for combining the ecological prudence of traditional technologies with contemporary bio-information, space and renewable energy technologies, so as to effectively and sustainably manage ecosystems, pests, forests, farms, wildlife, villages, cities, water bodies and other components of the planetary environment.